Kirklees Magistrated Court in Huddersfield. A polythene film manufacturer has been sentenced for safety breaches after a worker trapped his hand in machinery. 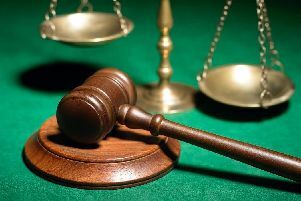 Kirklees Magistrates’ Court heard how the injured person broke the little finger on his right hand while operating machinery in March 2014 at Total Polyfilm Ltd’s Brighouse plant in Armytage road. An investigation by the Health and Safety Executive (HSE) found the company failed to adequately manage the risk of workers being injured when operating machinery. Also it was found the workers failed to operate in the correct way of working when using this equipment. Total Polyfilm Ltd of Walton Summit Estate, Bamber Bridge, Preston, Lancashire pleaded guilty to breaching Section 3 (1) of the Health and Safety at Work Act 1974 and have been fined £6,000 and ordered to pay costs of £697. After the hearing HSE inspector Jacqueline Ferguson commented: “This incident could so easily have been avoided by simply carrying out correct control measures and safe working practices.